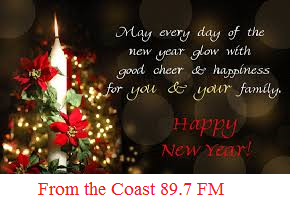 TUNE IN TO THE COAST 89.7 FM EVERY DAY DEC. 23RD.. TO QUALIFY FOR OUR ‘TWELVE DAYS TO CHRISTMAS’ TRIVIA CONTEST. 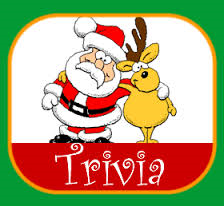 LISTEN FOR YOUR CUE AND CALL 902-563-5771 AND ANSWER THE CHRISTMAS TRIVIA QUESTION. IF YOU ANSWER CORRECTLY, YOUR NAME WILL BE ENTERED INTO THE DRAWS, WHICH TAKE PLACE DAILY BETWEEM 8-8:30AM UNTIL DEC. 24TH. Listen from Nov. 6th-13th. to win tickets to see the Lemon Bucket Orkestra on Nov. 17 at 7:30pm and Communion on Nov. 18th at 8pm at the Highland Arts Theatre. Tune in for your chance to win tickets to see Buddy Wasisname & The Other Fellas for their ‘Wring’er Out Tour’ on Nov. 10th at 8pm at the Savoy Theatre.